Convert to Christianity; born apparently at Kholm (Chelm), Poland, about 1540; died at Prague about the end of the sixteenth century. He was first baptized at Nuremberg in 1556, was rebaptized at Chelm in 1568, and is said to have died after he had for the second time forsworn the Christian religion. 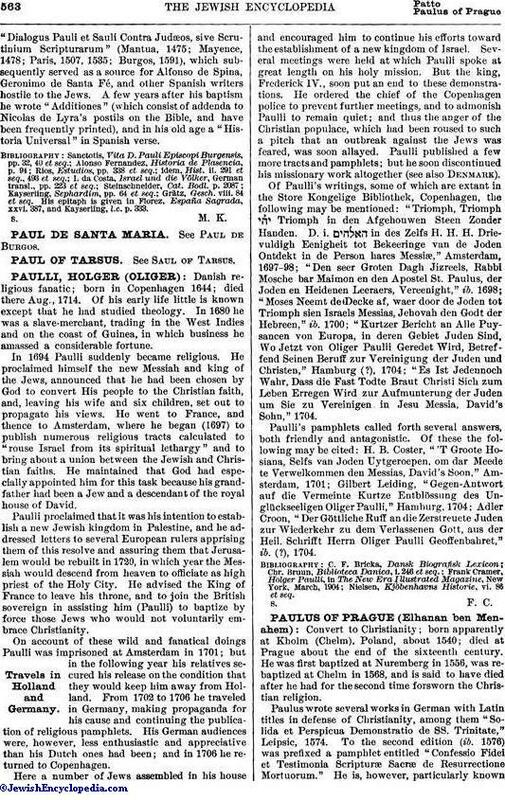 Paulus wrote several works in German with Latin titles in defense of Christianity, among them "Solida et Perspicua Demonstratio de SS. Trinitate," Leipsic, 1574. To the second edition (ib. 1576) was prefixed a pamphlet entitled "Confessio Fidei et Testimonia Scripturæ Sacræ de Resurrectione Mortuorum." He is, however, particularly knownfor his "Mysterium Novum" (Helmstädt, 1580), in which he endeavors to prove by means of gemaṭria and noṭariḳon that the names of Jesus and his mother, Mary, occur in the Scriptures and in cabalistic works, and that Jesus is indicated in the Bible as the true Messiah. He prefaced this work with a Hebrew poem consisting of 139 verses arranged in alphabetical order and giving an acrostic of his own name. A Latin translation was published in the same year. 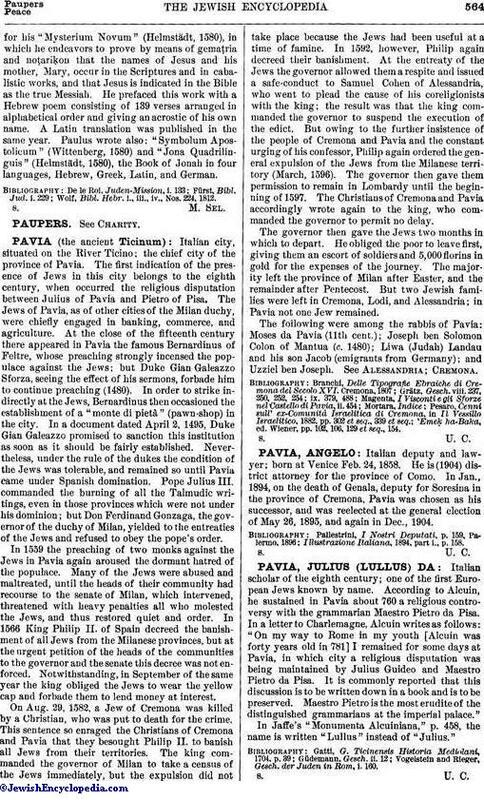 Paulus wrote also: "Symbolum Apostolicum" (Wittenberg, 1580) and "Jona Quadrilinguis" (Helmstädt, 1580), the Book of Jonah in four languages, Hebrew, Greek, Latin, and German. Wolf, Bibl. Hebr. i., iii., iv., Nos. 224, 1812.